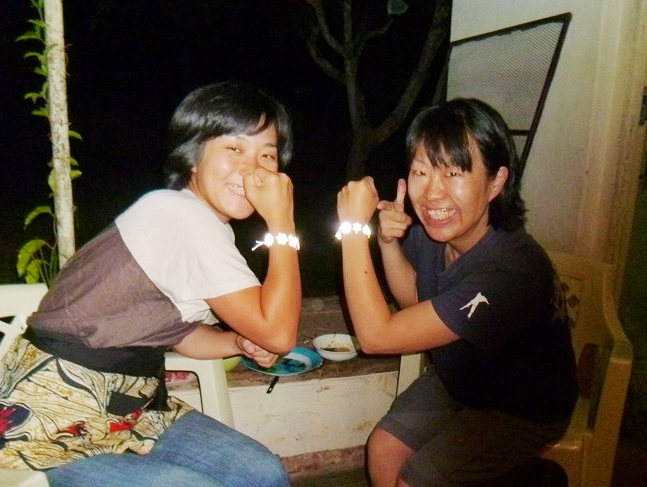 The other day Noriko came by KNPO at Mzuzu in Malawi and asked if she could get one of those cool bracelets circulating in Malawi. She is a JICA Volunteer at the Ministry of Tourism and Culture and will soon go back to Japan, bringing KNPO’s message to the "Land of the Rising Sun". Also volunteer workers walk home from their jobs on these dark roads in Africa and could do with a stylish and protective bracelet!